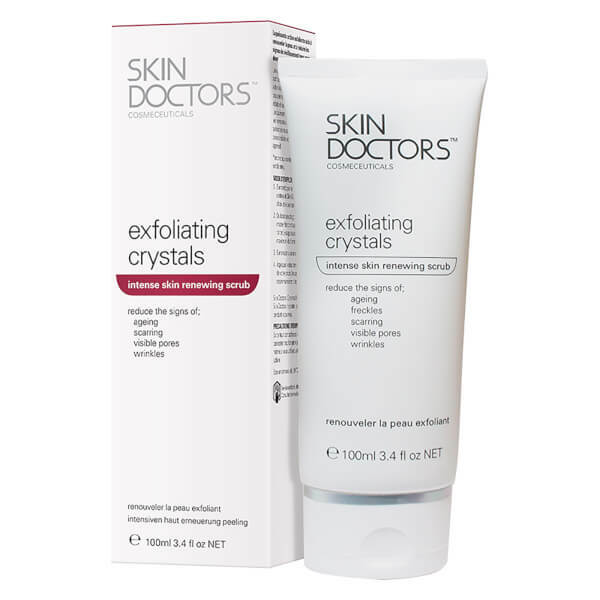 Skin Doctors present the Exfoliating Crystals; a refining scrub that utilises microencapsulated beads to deliver a powerful exfoliating action, without scratching or damaging skin. Working to buff away dead and dull skin cells, the advanced crystals minimise the appearance of visible pores, wrinkles, pigmentation and uneven skin tone, revealing brighter, smoother results. Infused with Melaleuca Alternifolia (Australian Tea Tree Oil), known for its anti-bacterial properties, its formula helps treat infections, acne and blemishes so you can experience visibly improved, refreshed and clearer skin with every use. Skin is left radiant and velvety soft. Suitable for use on the face and body. E.N. Cleanse face thoroughly and pat dry. 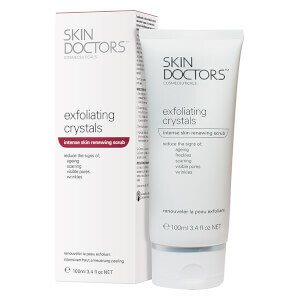 Dot the Exfoliating Crystals on the parts of the face or body to be treated. Using circular movements, massage the crystals into the treatment areas for up to 5 minutes per area. Dust the crystals off the treatment area with a dry towel or flannel cloth. Rinse area thoroughly and pat dry.